Japan's new era has been named "Rei Wa." The Chief Cabinet Secretary Suga revealed it at a news conference on April 1. "Rei Wa" comes from Manyo Shu or Japan's oldest collection of poems. 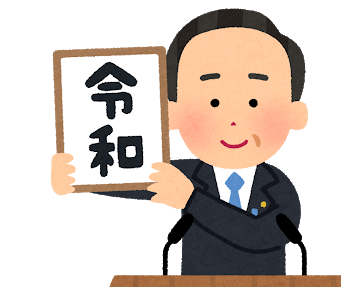 The new era will start on May 1, but the government announced the new era name in advance. This is why companies and the general people can prepare for the change. Emperor Akihito is going to abdicate on April 30. The following day Crown Prince Naruhito will asscend the throne. It will be the first time in two centuries an Emperor is handing over the throne to his successor. And it will end the more than 30-year-long "Heisei" era under Japan's traditional calendar. The era name is used in a lot of papers such as driver's license, health insurance cards, and calendars.